HRANA – The body of a Baha’i citizen, Shamsi Aghdasi Azamian, from Gilavand, a suburb of the city of Damavand, on October 24, was exhumed by unknown individuals several days after being buried in the Gilavand Bahá’i Cemetery, and abandoned in the deserts of Jaban in the suburbs of that city. No individual or institution has accepted responsibility for this action, although security forces had told the Gilavand Baha’is earlier that they had no right to bury their deceased member in this place, and that they should perform burials only in Tehran. According to the Human Rights Activists News Agency (HRANA) in Iran, the body of Shamsi Aghdasi Azamian, a Baha’i from Gilavand, was found four days after the burial in Gilavand Baha’i Cemetery, in the desert of Jaban, in the province of Damavand. 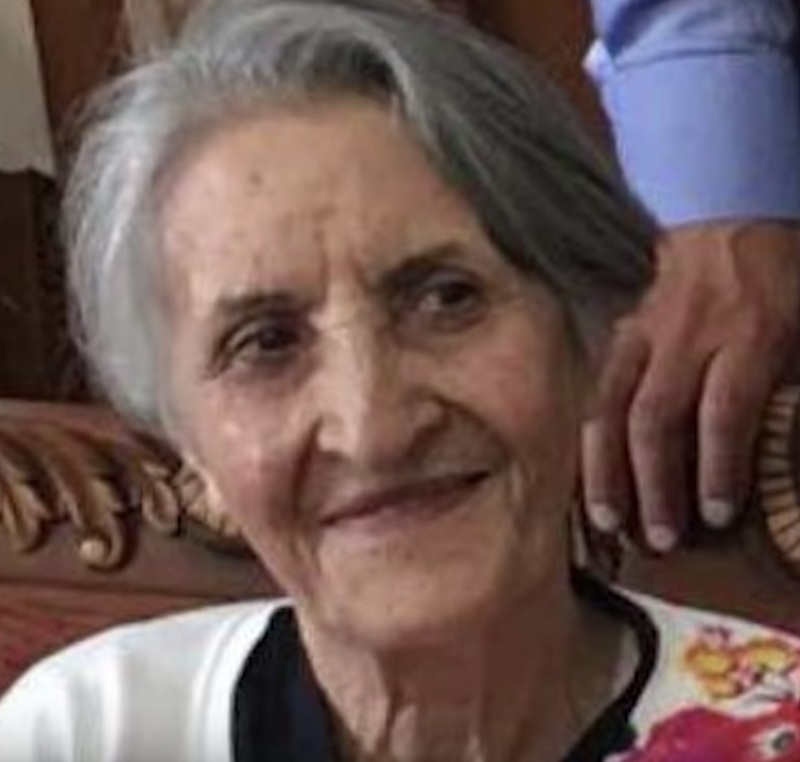 A source close to Ms. Azamian’s family told a HRANA reporter that this Baha’i had been buried on October 24 this year in Gilavand Baha’I Cemetery, which has been the Baha’i burial ground for many years. Four days after the burial, in a phone call, police told Ms. Azamian’s son that the body of his mother, had been found in deserts near Jaban in the province of Damavand. No individual or organization took responsibility for exhuming the grave and removing the body, but previously Gilavand Baha’is had been told by security forces (possibly the Ministry of Intelligence), they had no right to bury their dead in this cemetery, and that from that point on, they should transfer all burials to Tehran. This is not the first time Baha’is in Iran have faced the demolition of Baha’i cemeteries in various cities. HRANA earlier has reported on the destruction of graves and the closure of Baha’i cemeteries by judicial and security authorities in the past several years. Among Baha’i cemeteries, one in the city of Kerman has been sealed since noon on March 15, 2018, by order of the Kerman judicial authorities, and the burial of deceased Baha’is has been prevented. Also, on July 14, 2016, Ghorveh Baha’i cemetery, in the province of Kurdistan, was destroyed by government agents. On December 12, 2013, after confirmation of a court order in Sanandaj and confiscation of the land belonging to the Baha’is which had been used as a cemetery, the site was demolished by a bulldozer. In March 2014, the Baha’i cemetery in Ahwaz was closed, and the alley leading to it was blocked by heavy cement blocks. No organization has accepted responsibility for this action. Also, in the middle of December 2012, Sangesar’s old Baha’i cemetery was thoroughly covered in soil and rubble by bulldozers and trucks, and all the graves were covered by dirt and rocks, so that no more graves could be seen. Since August 2011, the Baha’i community of Tabriz has not been allowed to bury their dead in this city, and their bodies are being transferred by intelligence officers to the city of Miyandoab, in West Azerbaijan province. According to unofficial sources in Iran, there are more than three hundred thousand Baha’is, but the Iranian constitution only recognizes Islam, Christianity, Judaism, and Zoroastrianism; it does not recognize the Baha’i Faith. For this reason, Baha’i rights in Iran have been systematically violated in recent years. Gilavand is a part of the city of Damavand, and is located on the road from Tehran to Firoozkooh. The post Exhuming the Grave and Removing the Body of a Deceased Baha’i in Gilavand appeared first on Iran Press Watch.